As Vice-President, Clinical Programs and Quality Initiatives, Dr. Robin McLeod works with clinical leaders across the province to improve the quality and coordination of cancer care. Previously, she served for 7 years as Surgical Lead, Quality and Knowledge Transfer. 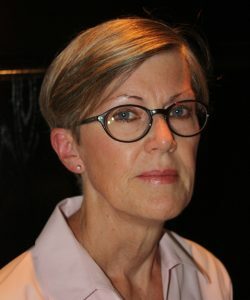 In that role, Robin led or co-led a number of initiatives including the regionalization of hepatobiliary pancreas and thoracic surgery in Ontario, the development of evidence-based guidelines in cancer surgery, the development of a gynecological oncology organizational guideline, and the development of quality-based procedure funding for cancer surgery. Robin received a BSc and MD from the University of Alberta. Following this, she completed training in general surgery at the University of Toronto, colorectal surgery at the Cleveland Clinic, and did training in clinical epidemiology at McMaster University before joining the faculty at the University of Toronto in 1985. She is a Fellow of the Royal College of Physicians and Surgeons of Canada, a Fellow of the American College of Surgeons, and a fellow ad hominem of the Royal College of Surgeons of Edinburgh. She is a Diplomate of the American Board of Surgery and the American Board of Colorectal Surgery, a Professor in the Departments of Surgery and Health Policy Management and Evaluation, University of Toronto and Vice Chair, Quality and Performance in the Department of Surgery, University of Toronto. She has also led several multi-centre Canadian clinical trials in colorectal surgery and has authored more than 400 peer-reviewed articles and 40 book chapters.